When a patient becomes a part of our practice, we feel a responsibility to the entire family. In a continuing effort to provide quality orthodontics we provide a comprehensive orthodontic examination to all family members at no charge. We see patients at all ages and prefer to do an initial exam at age 7 or 8 when the permanent teeth are starting to erupt. Early treatment can often minimize future orthodontic problems and maximize our treatment results. As a family care provider, we welcome family members of all ages. 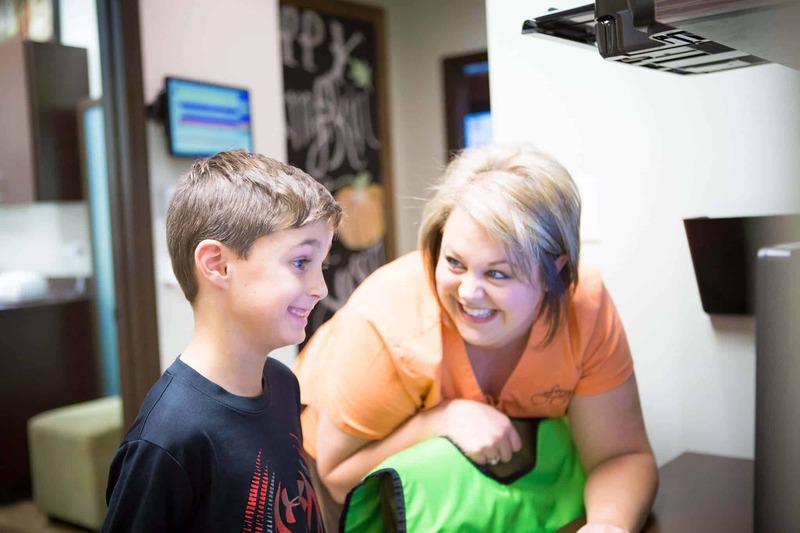 If anyone in your family has tooth alignment problems that they are concerned about, that may not have been addressed at an earlier age or are a result of relapse, we encourage them to take the opportunity to seek out their options in orthodontics. There is no obligation on your part to have treatment; it is just our way to let you know that we care about all of your smiles. And now that you and your family are a part of our Fergus Orthodontic Family, each additional family member will receive a $200 fee reduction! If we can be of service to any other members of your family, please call or ask anyone at our office to set up a complimentary consultation.